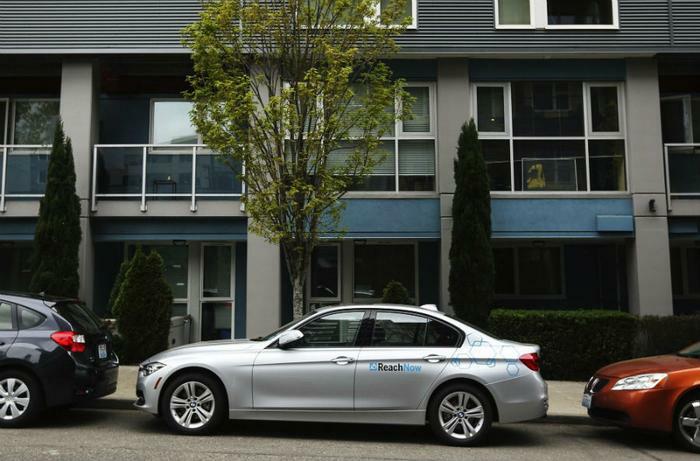 BMW’s car-sharing company ReachNow is launching a brand new service in Seattle that’s ready to compete with the likes of Uber and Lyft. Launching today, ReachNow’s rideshare feature will appear in the app, allowing users to request a ride immediately or schedule a ride up to a week in advance. Though strictly in Seattle for now, the company has plans to expand to other cities in the United States. In an effort to provide a consistent BMW brand experience for users, ReachNow’s car-sharing fleet includes a mix of BMW 3 Series, BMW X1 SAV, BMW i3 electric cars, MINI 4-door hardtop models, MINI Clubman, and MINI 2-door hardtop models. The rideshare side of ReachNow operates differently than Uber and Lyft in that it contracts drivers through a third party -- and the way those drivers are paid also differs. ReachNow contracts its drivers through Ecoservice, and while competitive ridesharing companies often incentivize making as many trips as possible, ReachNow is promoting quality over quantity. With Uber and Lyft, drivers’ pay comes from a cut of each ride’s share with opportunities to make more depending on the overall number of rides given. ReachNow drivers are paid $14.25 per hour and have specific shifts, can bring in a five percent bonus each week if their rating stays between 4.8 and five stars, and are also eligible for benefits. Additionally, the drivers won’t be using their own cars, and won’t need to worry about gas, maintenance, or upkeep. ReachNow will be waiving the sign-up fee for members interested in the company’s new ridesharing service. Rides cost $2.40 per mile plus $0.40 per minute, and the ride minimum is $3.24. As it stands right now, there is no surge pricing for the rides. To give riders a more personal experience, ReachNow has included a number of options to help customize each ride. In addition to having the option to choose between getting a ride instantly or reserving a ride in advance, riders can also choose the temperature they’d like the car, what radio station they’d like to hear, or choose the “quiet time” option, which tells the driver the rider doesn’t want to talk.